Take the first step towards improving your credit. Receive a complimentary summary of your Credit Report from one of our participating providers, with no obligation. Get a complete review of your credit report summary from one of our participating providers’ credit agents. Once you put our participating providers to work, sit back and watch your credit score rise. Since 1991 our participating providers have helped hundreds of thousands of clients take action and repair their credit. With a track record of success, clients see an average of 10.2 items removed, or 24% of their presenting negatives. Let our participating providers’ credit agents dispute your credit reports. Our participating providers have helped clients remove 1,000,000+ late payments from their credit reports. One single recent late payment can reduce a credit score by 15 to 40 points. Misleading and inaccurate collections accounts unfairly lower thousands of people's credit scores. Collection accounts are among the most common errors on credit reports. Any credit report error can be disputed. Disputing credit report errors can raise your credit score rapidly. Our participating providers will aggressively dispute any error on your credit report. These typically reside on your credit report for 7 years. Inaccurate charge offs can be removed, and legitimate charge offs can be minimized or removed by communicating with creditors and credit bureaus. Often times, liens that have been paid off can still reside incorrectly on your credit report. By filing the proper IRS form, proof of the lien payoff can be used to dispute the lien with the credit bureaus. These can show up on your credit report even if you have never filed bankruptcy. Sometimes just a simple clerical error, mistake or not, bankruptcies have a devastating impact on credit scores and borrowing ability. Sometimes a repossession is unavoidable. You can still make arrangements with the creditor to repay the difference between what you owed and the amount they resold the repossessed item for. Many lenders will agree to remove the repossession from your credit report. If you have a foreclosure on your credit report, the best thing you can do for your credit is to address any other negative items that stand out. Focusing on removing other negative information can minimize the impact of a foreclosure on your credit report. Judgments are listed inaccurately on credit reports from time to time. If a judgment is incorrectly listed on your credit report, it is advisable to dispute the item with the credit bureaus. Expert help is extremely beneficial in this pursuit. "CreditRepair.com has worked very diligently on my behalf to help me improve my credit. Their customer service is phenomenal and I would highly recommend their service to anyone that I know. This is definitely an investment worth leaving in the hands of the experts! Thank you CreditRepair.com!" "I just checked my credit repair results for this month, and... AMAZING!!!! Trust that CreditRepair.com will help you achieve your goals. My credit went from bad to average, average to good, and great is next. I am so happy." "I am so thankful for CreditRepair.com! To be honest, I was reluctant to try, but I took a chance. In 3 months, my credit score went from poor to fair, all from taking a chance. Thanks CreditRepair.com! Waiting to see what the next 3 months will bring. Ready to start anew and have a fresh start, and ready stop being rejected. With my score improving, I am free to be more confident. " "After trying on my own to improve my credit score (for over a year and a half), I looked into using Lexington Law. I was trying to buy a home, but with limited income, a good credit score was needed. Working with Lexington Law, within 3 months my score went up enough to qualify for a home loan. Thank YOU!!" "When I heard about Lexington Law, I was a little skeptical, but I needed the help and the price was fair. I started with destroyed credit! After what truly felt like a short amount of time, my credit is now in the 700s. I'm in the process of buying a home and am confident!" Call today to get started today! Sign-up to receive your complimentary credit report summary, and credit consultation from our participating providers. There is no risk or obligation. You are not required to make a purchase. Take advantage of this opportunity to hear what a team of credit agents can do to help you. We are a lead generation company. We are not a credit repair company nor are we affiliated with any credit bureau. This site is in no way affiliated with any governmental organization or agency. The informational forms provided on this site are not applications to us for any credit repair services or products. Rather, upon completing your inquiry, we match you with third-party credit repair companies that may assist you with your credit repair needs based on your eligibility and individual situation. All decisions and terms are determined by the credit repair companies and there is no guarantee that you will be accepted as a customer or obtain the credit relief sought. 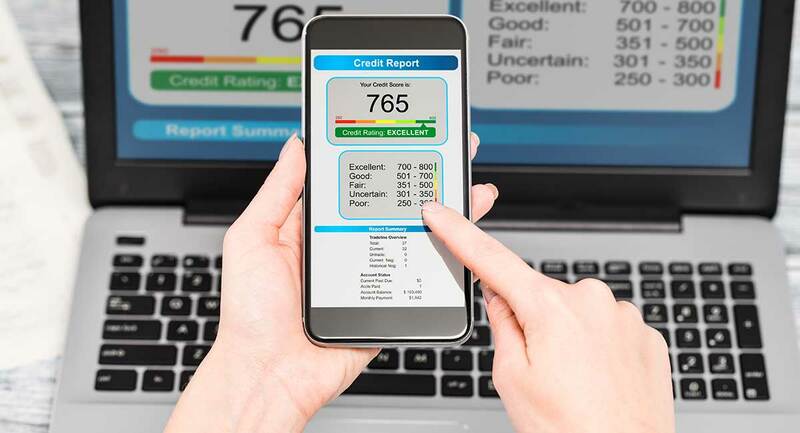 We make no representations or warranties about any credit counseling or credit improvement services that may or may not be offered by these third-party credit repair companies and that may or may not be able to assist You with improving your credit for a fee. Other fees and costs may apply. You are entitled to a complimentary credit report summary, and credit consultation. You can learn a lot from the credit consultation and we highly recommend taking advantage of it. You are under no obligation to buy anything - it's completely complimentary. A credit agent will reach out to you soon. This Website is offered and available to users who are 18 years of age or older and reside in the United States or any of its territories or possessions. By using this Website, you represent and warrant that you are of legal age to form a binding contract with us and meet all of the foregoing eligibility requirements. If you do not meet all of these requirements, you must not access or use the Website. To impersonate or attempt to impersonate us, our employees, another user or any other person or entity. All names, logos, product and service names, designs and slogans on this Website are the trademarks of their respective owners. No affiliation or endorsement is intended or implied. You must not use such marks without the our prior written permission. This Website may include content provided by third parties, including materials provided by third-party licensors, syndicators, aggregators, and/or reporting services. If the Website contains links to other sites and resources provided by third parties, these links are provided for your convenience only. This includes links contained in advertisements, including banner advertisements and sponsored links. We have no control over the contents of those sites or resources, and accept no responsibility for them or for any loss or damage that may arise from your use of them. If you decide to access any of the third-party websites linked to this Website, you do so entirely at your own risk and subject to the terms and conditions of use for such websites. We are not responsible nor liable to You or any third party for the content or accuracy of materials provided by any third parties. The owner of the Website is based in the state of New York in the United States. We provide this Website for use only by persons located in the United States. We make no claims that the Website or any of its content is accessible or appropriate outside of the United States. Access to the Website may not be legal by certain persons or in certain countries. If you access the Website from outside the United States, you do so on your own initiative and are responsible for compliance with local laws. You understand that we cannot and do not guarantee or warrant that the Website will be free of viruses or other destructive code. You are responsible for implementing sufficient procedures and checkpoints to satisfy your particular requirements for anti-virus protection and accuracy of data input and output, and for maintaining a means external to our site for any reconstruction of any lost data. WE WILL NOT BE LIABLE FOR ANY LOSS OR DAMAGE CAUSED BY A DISTRIBUTED DENIAL-OF-SERVICE ATTACK, VIRUSES OR OTHER TECHNOLOGICALLY HARMFUL MATERIAL THAT MAY INFECT YOUR COMPUTER EQUIPMENT, COMPUTER PROGRAMS, DATA OR OTHER PROPRIETARY MATERIAL DUE TO YOUR USE OF THE WEBSITE OR ANY SERVICES OR ITEMS OBTAINED THROUGH THE WEBSITE OR TO YOUR DOWNLOADING OF ANY MATERIAL POSTED ON IT, OR ON ANY WEBSITE LINKED TO IT. YOUR USE OF THE WEBSITE, ITS CONTENT AND ANY SERVICES OR ITEMS OBTAINED THROUGH THE WEBSITE IS AT YOUR OWN RISK. THE WEBSITE, ITS CONTENT AND ANY SERVICES OR ITEMS OBTAINED THROUGH THE WEBSITE ARE PROVIDED ON AN "AS IS" AND "AS AVAILABLE" BASIS, WITHOUT ANY WARRANTIES OF ANY KIND, EITHER EXPRESS OR IMPLIED. NEITHER WE NOR ANY PERSON ASSOCIATED WITH US MAKES ANY WARRANTY OR REPRESENTATION WITH RESPECT TO THE COMPLETENESS, SECURITY, RELIABILITY, QUALITY, ACCURACY OR AVAILABILITY OF THE WEBSITE. WITHOUT LIMITING THE FOREGOING, NEITHER WE NOR ANYONE ASSOCIATED WITH US REPRESENTS OR WARRANTS THAT THE WEBSITE, ITS CONTENT OR ANY SERVICES OR ITEMS OBTAINED THROUGH THE WEBSITE WILL BE ACCURATE, RELIABLE, ERROR-FREE OR UNINTERRUPTED, THAT DEFECTS WILL BE CORRECTED, THAT OUR SITE OR THE SERVER THAT MAKES IT AVAILABLE ARE FREE OF VIRUSES OR OTHER HARMFUL COMPONENTS OR THAT THE WEBSITE OR ANY SERVICES OR ITEMS OBTAINED THROUGH THE WEBSITE WILL OTHERWISE MEET YOUR NEEDS OR EXPECTATIONS. IN NO EVENT WILL WE, OUR AFFILIATES OR THEIR LICENSORS, SERVICE PROVIDERS, EMPLOYEES, AGENTS, OFFICERS OR DIRECTORS BE LIABLE FOR DAMAGES OF ANY KIND, UNDER ANY LEGAL THEORY, ARISING OUT OF OR IN CONNECTION WITH YOUR USE, OR INABILITY TO USE, THE WEBSITE, ANY WEBSITES LINKED TO IT, ANY CONTENT ON THE WEBSITE OR SUCH OTHER WEBSITES OR ANY SERVICES OR ITEMS OBTAINED THROUGH THE WEBSITE OR SUCH OTHER WEBSITES, INCLUDING ANY DIRECT, INDIRECT, SPECIAL, INCIDENTAL, CONSEQUENTIAL OR PUNITIVE DAMAGES, INCLUDING BUT NOT LIMITED TO, PERSONAL INJURY, PAIN AND SUFFERING, EMOTIONAL DISTRESS, LOSS OF REVENUE, LOSS OF PROFITS, LOSS OF BUSINESS OR ANTICIPATED SAVINGS, LOSS OF USE, LOSS OF GOODWILL, LOSS OF DATA, AND WHETHER CAUSED BY TORT (INCLUDING NEGLIGENCE), BREACH OF CONTRACT OR OTHERWISE, EVEN IF FORESEEABLE. We may use the information we collect from you when you register, make a purchase, sign up for our newsletter, respond to a survey or marketing communication, surf the website, or use certain other site features. We sell,trade, or otherwise transfer to outside parties phone number personally identifiable information.